Spring is here!!! For me March 1st marks the start of Spring Fashions. I am thinking about new colors, styles skirts and swimwear. I am loving the use of green and coral color, lace and layering I have seen in stores. 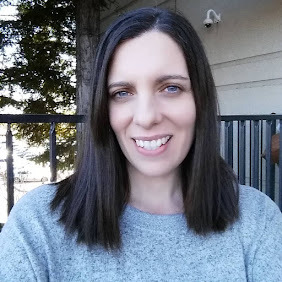 I went to my local mall to check out what DownEast Basics had for Spring. Last summer I went to a blogger event on my bday and was happy to be invited again. 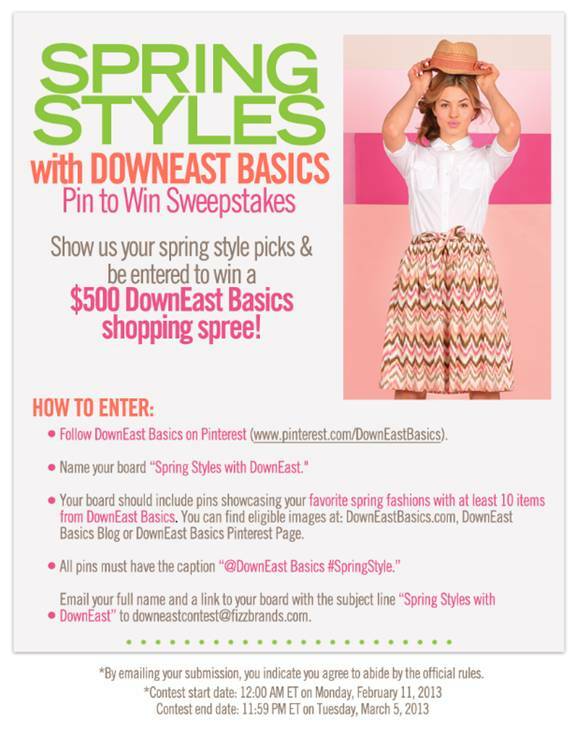 DownEast Basics is celebrating the new styles with a Spring Fashion Pinterest Sweepstakes. One lucky winner will receive a $500 gift card to help bring in the warmer temperatures with a new, fresh look. You can check out the DownEast Basics blog for more info on the rules to the contest. I will be making my board today to enter the sweepstakes and will share it on Facebook and Twitter. I would love to see yours, tweet it to me @FrugalFamTree or post on our FB fan page wall. I loved all the new colors in the store! I saw many items that have been added to my Spring wish list. I work in an environment that fashion is a must. Looking good is about feeling great in what you are wearing! 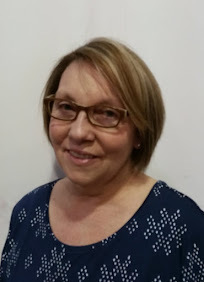 DownEast Basics clothing is affordable and stylish. I love how comfortable the clothing is. The displays are a great way to see how the items can be paired together for a complete look. *I was given a blogger gift bag for attending this event. This is not a sponsored post. I really like your outfit! Also those sweater look cute.